News broke this evening that Apple has acquired the Mixed Reality HMD startup. Apple has reportedly acquired Vrvana, an AR/VR HMD startup, for $30 million. Apple has acquired several companies working in augmented reality, but this deal is the first time the company has acquired a head-mounted display device maker. The deal apparently closed in the past few months, but as with most Apple-related news it was kept secret. A number of Vrvana's employees now work at Apple. The company had only shown off a prototype of their "extended reality" Totem HMD, but it never made its way to market. Vrvana has also worked with Tesla, Valve, Audi and a number of companies under NDA. 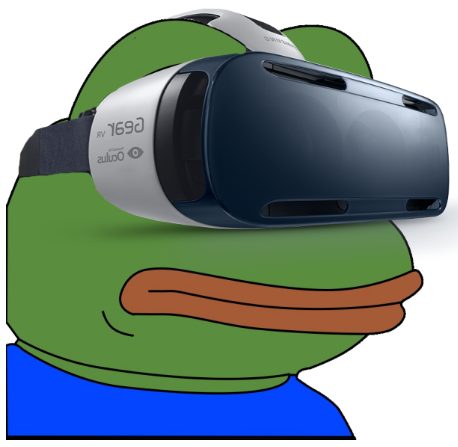 Vrvana's technology allows for passthrough cameras to show the real world while users enjoy the full immersion of a traditional VR HMD. This is a different approach from Hololens which relies on an image being projected on a translucent visor. The problem with packing in the passthrough technology is that the HMD becomes rather bulky. Just look at that thing. Apple CEO Tim Cook has said that AR will "definitely happen" in the past and this acquisition is just one more step towards an Apple AR HMD reinventing how we interact with the real world. 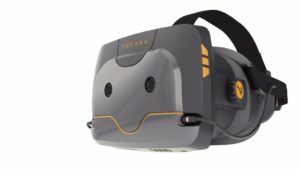 The major thing that jumped out at me about the Vrvana Totem headset is the 120 degrees field of view. 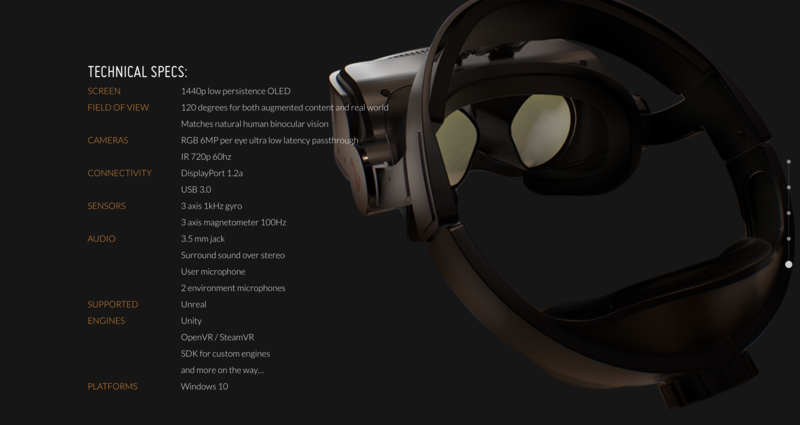 Here are some more technical specs from the official Vrvana website. It remains to be seen what Apple will do with Vrvana, or why they even acquired it, but the company is undoubtedly experimenting in augmented reality and this acquisition is one step closer to an Apple HMD entering a highly experimental and crowded mixed reality headset market. For now, we can add Vrvana to the list of Apple's AR/VR-related acquisitions that include Faceshift, SMI, Flyby Media, metaio, and Emotient. A VR/AR headset designed by Jony Ive would look pretty neat, I imagine. They got wireless earbuds and digital watch that look pretty okay, so that’s a start. How about you make the headset solid white, then black out the person wearing it, then have them stand in front of a brightly colored background?